Libraries run on elastic bands and thousands of little bits of scrap paper. Were either of these things to run out, there would be no more libraries. When you work at a library, people assume you sit and read books all day. They are very wrong. Jacqueline Wilson has written more books than all of the other humans put together. 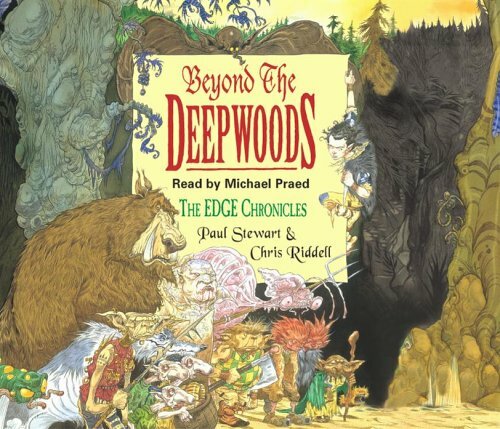 Chris Riddell has illustrated an insane number of children’s books. And every last one is completely gorgeous. Each library has a distinct flavour: I’ve worked at three so far, and they’ve been wildly different (though all basically enjoyable) work environments. People read a lot of Crime fiction. A lot of crime fiction. It’s not only more borrowed than the other genres (second place would have to be Romance, especially large-print Romance. Little old ladies sure love their thinly-veiled erotica. ), it’s possibly more borrowed than ‘general fiction’. A lot of this is fueled by people getting out five whopping great police thrillers, reading them over the weekend, and then bringing them back for five more. There is always chocolate in the staff room. I do not know from whence it comes. But come it does, in droves. But the most obvious, most overwhelming impression is this: people are many, and strange, and wonderful. I’ve had everything from drunks who had to be asked to leave for singing along to Youtube (“But, mate, I’ve got headphones in”), to a little girl running up to show me her tooth that just fell out, to the amazing old guy who spent £2.20 printing out pictures of jockeys, greyhounds and meerkats “for research for a painting I’m going to do. It’s going to be a meerkat jockey, riding a greyhound, jumping a fence”. I’ve been asked in a hushed whisper for books on (glance around to see who’s looking) the Illuminati. 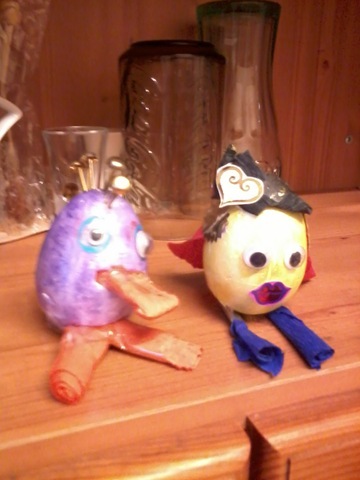 I’ve painted polystyrene Easter eggs with little kids (see picture below!). I’ve been threatened with court by an irate customer who refused to believe he had £24.10 in library fines. This is just a collection of first impressions. But I do believe I’m rather enjoying myself. I’m very aware that the reality of working in a library can be very different from the idea of working in a library, but I still think it would be the one of the greatest jobs ever.